ALBANY, N.Y. New York Gov. Andrew Cuomo on Tuesday signed the toughest gun control law in the nation and the first since the Newtown, Conn., school shooting, calling for a tougher assault weapons ban and provisions to try to keep guns out of the hands of the mentally ill who make threats. 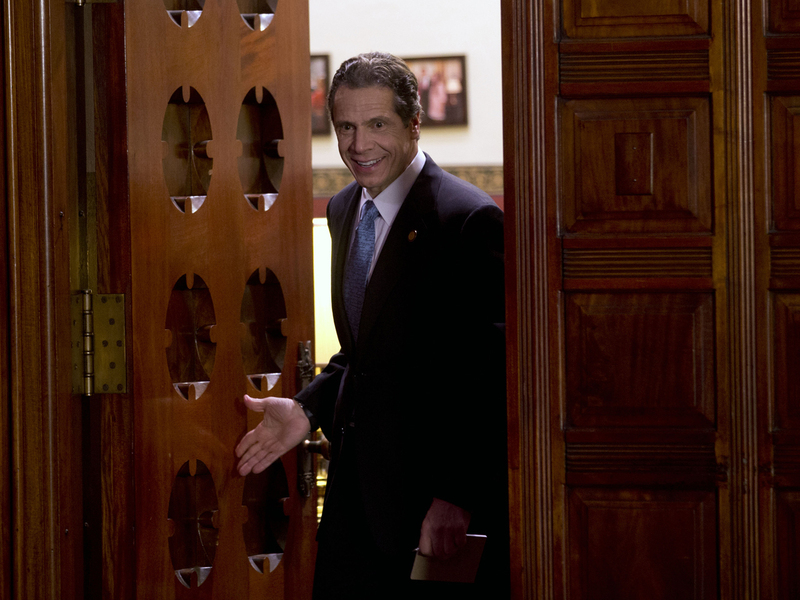 Cuomo pushed hard for the bill, which passed the Senate on Monday night and easily passed the Assembly earlier Tuesday. "I'm proud to be a New Yorker," Cuomo said. "It's not just the first bill, it's the best bill." On Monday night, after the Senate passed the measure, Cuomo likened gun control to a public health issue. "This is a scourge on society," Cuomo said Monday night, six days after making gun control a centerpiece of his State of the State address. The bipartisan effort was fueled by the Newtown tragedy that took the lives of 20 first graders and six educators. "At what point do you say, `No more innocent loss of life'?" Under the new law, people who already own assault weapons that are now banned will be allowed to keep them, but will have to register the guns with the police, CBS News correspondent Chip Reid reports. That's one reason Republican State Senator Greg Ball voted no. "What we did do is create an entire new category of illegal firearms out of firearms that are legal currently and thereby turning law abiding gun owners into criminals in this state," Ball said. The National Rifle Association weighed in late Tuesday on the new New York law, saying it is outraged by it. The NRA said the law will have no impact on safety. Meanwhile President Barack Obama will formally announce a "package of concrete proposals" for reducing gun violenceon Wednesday, the White House announced. In a White House press briefing Tuesday, spokesman Jay Carney declined to outline exactly what Mr. Obama's plan would entail, but noted that it would reflect the president's desire for a "comprehensive approach," as well as specific legislative actions he has called on before -- including reinstating the assault weapons ban, a ban on high-capacity magazine clips, and expanded background checks for gun owners. Another provision places requirements on therapists, psychologists, registered nurses and licensed social workers who believe a mental health patient made a credible threat to use a gun illegally. They would be required to report such a threat to a mental health director, who would have to notify the state. Any registered handguns  or registered assault weapons purchased before the ban  could be taken from the patient. CBS News correspondent Reid reports this provision has caused concern for some experts. Dr. Paul Applebaum, a professor of psychiatry at Columbia University, said: "I think there's a very realistic probability that patients will simply avoid seeking treatment, or if they come to treatment will sit there without disclosing what's truly on their mind for fear that if they do the state will know about it and consequences will follow." New York City Mayor Michael Bloomberg, one of the nation's leading gun control advocates, said the bill will not satisfy everyone but said it is a move in the right direction. "New York has been a leader. We have some of the toughest gun laws in the country and this just strengthens them, it fills in loopholes and it expands it as the society's needs have changed and the dangers have changed to all of us," Bloomberg told reporters including WCBS 880's Marla Diamond. "It makes all New Yorkers safer and they all - from the governor down - deserve real credit for doing it."